According to Juniper research, Apple grabbed over 50% of smartwatch sales in 2015, and the Android Wear ecosystem accounted for under 10%. That leaves quite a bit of room to relatively unpopular makers that have—at differing points in time—jumped onto the smartwatch bandwagon. 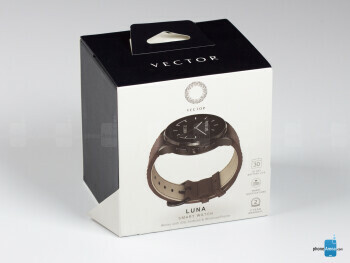 London-based Vector is one such manufacturer, and the Luna is its latest creation. 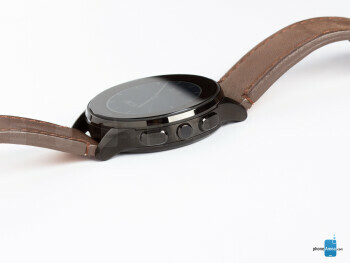 Sold for anywhere between $299 and $399 in the US depending on the model, the Vector Luna is rather pricey, but tackles this with two unique selling points: a 30-day battery life and compatibility with iOS, Android, and Windows _phone_ devices. Is that enough to set it apart from the crowd, and should you consider dumping some serious cash into it, however? When smartwatches started popping up back in 2013, one of the fundamental challenges in front of makers was to make a nerdy product that didn't look like one. Alas, they failed. The first round of smartwatches were all square or rectangular in form, and looked like something that would best fit on the wrist of the likable hero in a sci-fi flick. As of 2015, however, we've seen a change of direction, so much so that vendors are increasingly (and successfully) targeting timeless, classical designs. 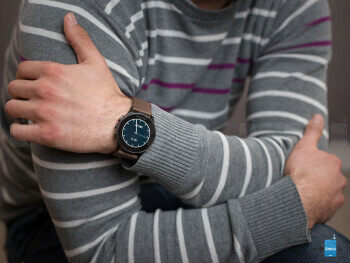 With a round, stainless steel case in black and a brown leather strap attached to the lugs, our unit of the Vector Luna ranks highly on the list of more conventional-looking smartwatches. 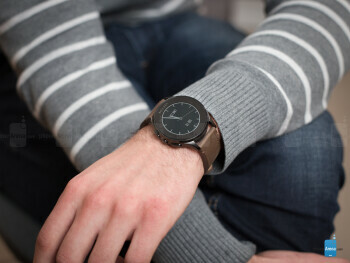 At 44mm in diameter, the watch is on the larger side, but sits well on a bigger man's wrist. 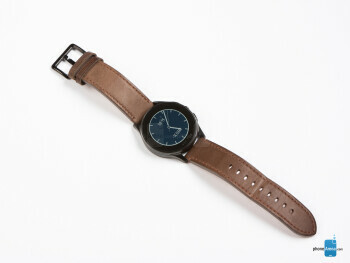 22mm in width, the wrist band is also appropriately wide and is removable should you decide to go with something custom. What we hate is the creaking sound the band makes when you move it up or down due to friction between the lugs and the leather. When on the wrist, however, this problem disappears. Overall, we can't say our world was rocked by the Vector Luna, though it's certainly among the more attractive wrist computers you can get right now. For those curious, the smartwatch is also available with a round case made out of rose or champagne gold, and with silicone and steel bands in various colors. Alike to the Pebble Time smartwatch, the Luna lacks an LCD display or even a touchscreen for that matter. 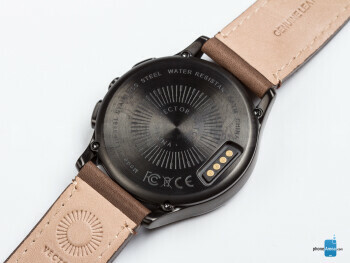 Instead, it makes use of a grayscale E Ink panel, which is what allows Vector to market the watch as capable of lasting up to 30 days. This is possible because E Ink displays are “bistable”, meaning that no power whatsoever is consumed so long as nothing changes on the screen. And because there's no back lighting (unless you press the middle button), the Luna has its screen always on, with only minimal impact on the power reserve. At night, you can click the crown to get some dim—but sufficient—lighting for about 5 seconds. As mentioned in the introduction, one of the defining characteristics of the Vector Luna is its compatibility with all three of the major platforms—iOS, Android, and Windows Phone. 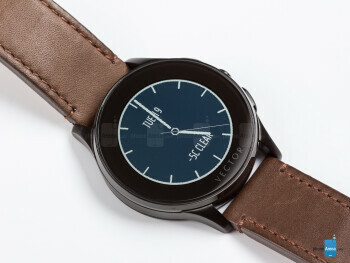 This puts it in a rather unique position when compared with the majority of smartwatches on the market, which are generally limited to just two operating systems at best. 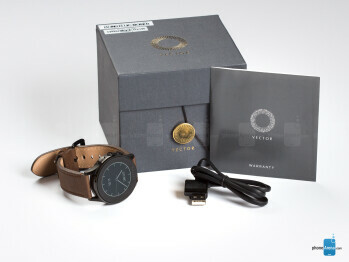 All you need to establish contact with any popular smartphone, therefore, is Bluetooth and the VectorWatch companion app. Unlike other smartwatch operating systems, the Luna's interface and feature set are pretty unimpressive and will require some getting used to if you're accustomed to Android Wear, for example. The basic premise of the system is that you can add up to 5 watch faces, any one of which different from the other, and navigate them by using the up and down buttons on the side of the watch. Depending on the watch face (of which about 20 are available in total), you can add different “streams”, which are just tiny widgets. For example, you can add a calories burned counter, steps, date, distance, stocks, weather, and that's about it. Some watch faces support up to 4 or 5 “streams”, but you can delete any of them to simplify the interface. Only 8 apps in total are available for the Luna, and there's so little free space on it that you'll have to delete some of the default Vector apps (Timer, Alarm, Stopwatch) to install them. We tried the BBC and ESPN apps, both of which serve news titles that aren't even displayed in full if too long. You can't read the actual articles on the watch, nor is there a way to jump on your phone and start viewing them, making us wonder what the point is. To navigate these apps, you use the aforementioned up and down buttons on the side, but need the circular crown in the middle to enter them. Long press returns you back to the respective watch face. Finally, whenever notifications hit your smartphone, a solid white line will encircle the outer bounds of the Luna's display, and the watch will vibrate. To explore notifications, you press the crown once. Pressing it a second time dismisses the notification. As long as you tick a setting within the companion app, dismissing a notification on the Luna will also clear it from your smartphone, which is great. If you're coming from Android Wear or Apple Watch, you'll be blown away by the battery life. Battery life on the Vector Luna is nothing short of mind-blowing, and is certainly in line with the marketed 30-day battery life, if not better. After a week of using it, we're only down to 81%, which is pretty amazing. For that reason, and we suppose in order to not clutter the display, there's actually no battery indicator in sight—it is shown only when charging. Speaking of charging, Vector provides a tiny magnetic charger with a full-size USB port on the other side of it. Contact is established through the four pins that are supposed to easily attach themselves to their counterparts on the back of the Luna. Unfortunately, the magnet is attracted to the entire case, and since the (steel) charger is so small, successful contact is rather awkward to achieve. With any other smartwatch, that would warrant a decrease in the final score, but since you'll be charging this so rarely, it doesn't really matter. Still, Vector should improve on this with their next design. When smartwatches first came out, there were three overarching questions in front of manufacturers, at least from our point of view: What are these things supposed to do? How do we design them? And how do we solve the problem of battery life? Vector solves two of these, but doesn't much bother with providing truly innovative functionality. So you can't Shazam a song, you can't send heart-shaped drawings to friends, and you can't control music playback. 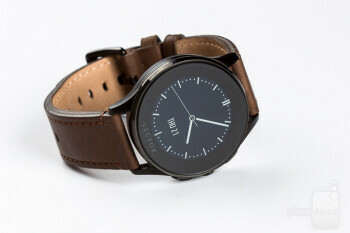 If those are among the things you want out of a smartwatch, the Luna isn't for you. The Samsung Gear S2, the LG Watch Urbane, the Motorola Moto 360, and the Apple Watch will all do that for you.